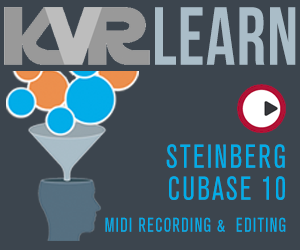 Virtual Bassist by Steinberg is a Virtual Instrument and a Virtual Effect Audio Plugin. It functions as a VST Plugin, an Audio Units Plugin and a DirectX Plugin. 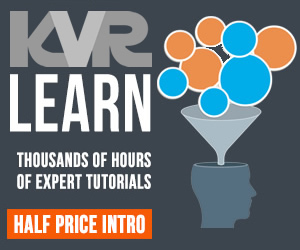 Utilizing a huge array of samples and phrases in 25 styles, Virtual Bassist covers almost every conceivable music genre, delivering top class sounds and phrases for rock, pop, reggae, metal and hip hop to name but a few. While the huge range of included intros, fills and variations provides a vibrant, dynamic library of bass guitar sounds, the MIDI Export/Import features allow grooves to be opened up in the MIDI Key Editor of the host application for detailed editing, adding a further level of variety and adaptability. 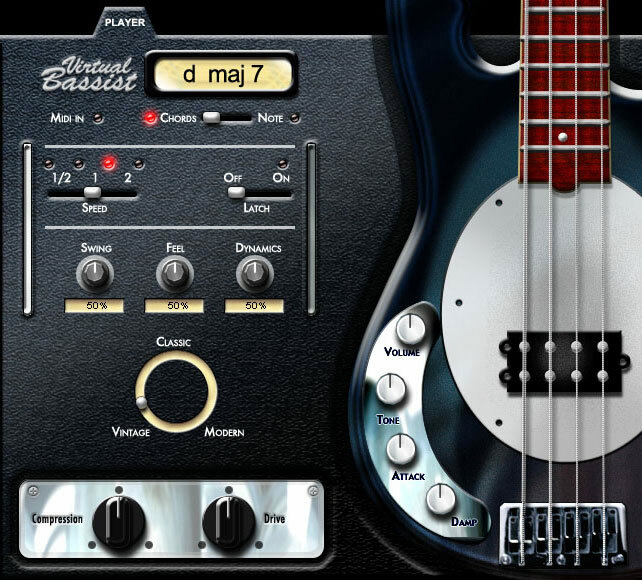 Virtual Bassist is also designed to be eminently "playable", with MIDI keyboard notes selecting the pitch of the played groove while the Modulation wheel allows simultaneous and dynamic switching between groove complexity levels. Virtual Bassist also offers GrooveMatch, a powerful tool that moulds the Virtual Bassist bass line to any existing drum groove. Owners of Groove Agent, Virtual Guitarist or Virtual Guitarist Electric Edition will find pre-matched grooves for phrases and patterns in those instruments, creating a tightly integrated drum, bass and guitar rhythm section within VST, DXi, AU or ReWire host applications. Virtual Bassist also runs in stand-alone mode on Windows and MacOS. Virtual Bassist customers will enjoy a full range of outstanding sound-shaping features, including a range of six high-quality virtual stomp box effects optimized for bass guitar, a choice of amp heads, bass cabinets and microphones as well as mic positioning options to build their ideal bass guitar parts. The included effects can also be used on any other audio channel in music production environments.